Touted as one of the most exciting new groups in Nashville on the heels of their first single “Break Up With Him,” Old Dominion will release their first album, Meat and Candy, on November 6. The RCA debut album was produced by GRAMMY Award-winning producer and songwriter, Shane McAnally. 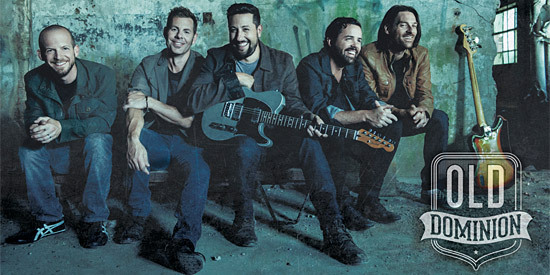 While Old Dominion may be a new band, its members are all acclaimed songwriters, having written hits for the likes of Dierks Bentley, Kenny Chesney, Keith Urban, Blake Shelton, Luke Bryan and Sam Hunt.